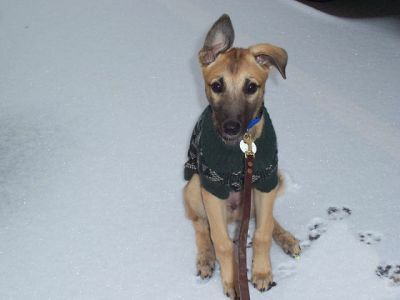 Greenville, SC Greyhound Playgroup NEW TIME! 6pm Saturdays Fairview Church on Devenger and Meadow Wood. Lexington SC Dog Days of Summer with the Blowfish Baseball team 7:05 pm June 11th Dog Friendly Event! 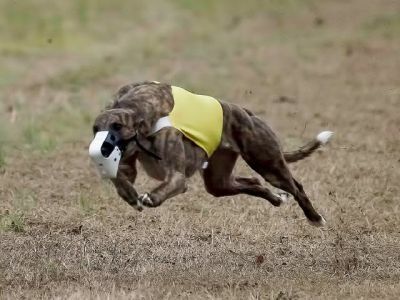 What does the Florida Track Closings mean for Greyhound Crossroads? We have always gotten most of our retired racers from the state of Florida because most of the tracks in the US are there. We will continue to take greyhounds as the 11 tracks there close. All Florida tracks are required to close by January 1st 2021. Some seasonal tracks that are closed now will not reopen. A couple are reporting that they will close in Summer of 2019 and the rest say they will stay open until sometime in 2020. Greyhound Crossroads and over 100 other adoption groups across the US are gearing up to take in greyhounds as the tracks close. We also have the young greyhounds on farms that were bred to race on those 11 tracks to help place. We are also likely to get many of their parents, who won't be needed for breeding purposes, now that so many tracks are closing. We will all be very busy and expect to have more greyhounds that will need foster care, vetting, adoptive homes and transport than we normally do. Our volunteers and adopters are already donating funds, supplies and volunteering to foster and transport greyhounds as needed. You can donate here. 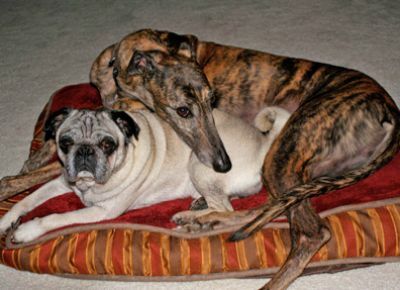 Adopters are filling out applications to get on our adoption waiting list for retired greyhounds and to foster them. You can do that here. Greyhound Crossroads has a couple of trailers built for hauling greyhounds, that we will put to use to move greyhounds when we are needed. 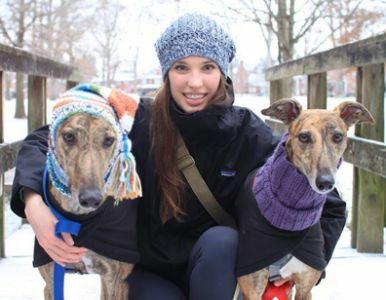 If you are not in our area, your local greyhound adoption group will need your help too. 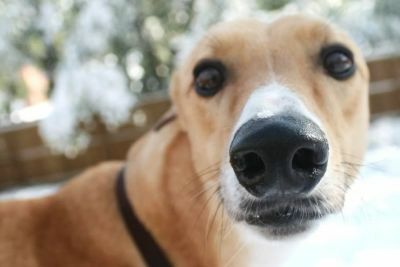 What happens with greyhound adoption in the future? 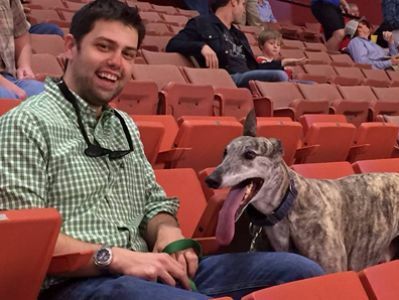 Greyhound adoption as we know it will be over in 2021 when the 11 Florida tracks are closed. Only 6 tracks will be open in other states so there will be around one third of the greyhounds retiring from racing that we have now. We have more adoption groups than can be supplied with retiring greyhounds currently. Some have already gone out of business or switched to other breeds as a result. 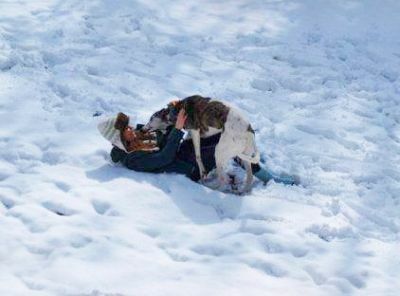 Adoption groups have long waiting lists for retired dogs now and every greyhound that retires has a home to go to already. After 2021 owners of racing greyhounds will be able to be very choosy on which adoption groups they use to rehome their racers. They will understandably refuse to work with groups that helped put them out of work in Florida. We hope Greyhound Crossroads will be one of the few groups that continues to have a few greyhounds for adoption. 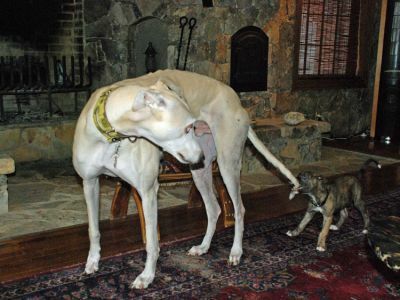 We know that, at best, we won't get as many greyhounds to place. 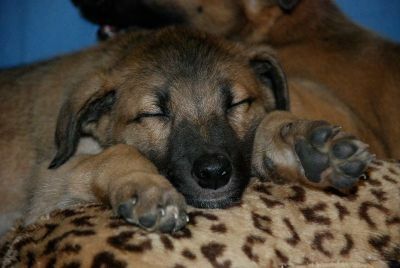 We expect to have a very long waiting list of people wanting to adopt. 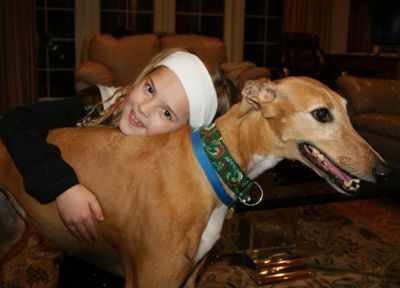 Greyhound Crossroads will continue to support our adopters and their current greyhounds. We will continue to take any greyhound that needs rehomed in our area, no matter what group it was adopted from originally. 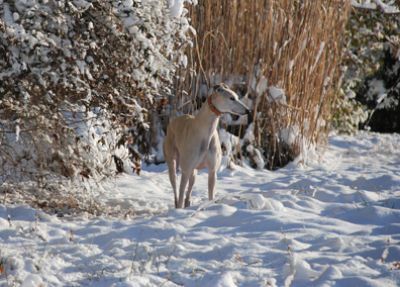 It is likely that many people will have to purchase greyhound puppies, when retired racers are no longer available, and we plan to be here to support them as well. Greyhound Crossroads Chosen The 2015 Adoption Group of the Year! 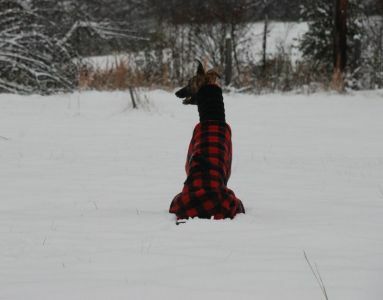 Greyhound Adoptions and Support in South Carolina, Georgia and North Carolina. Read about our award Here. 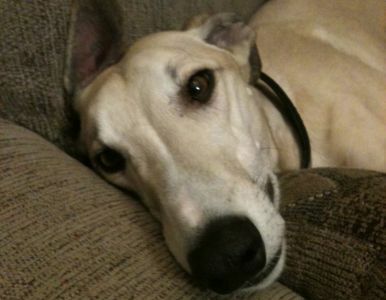 Have you adopted a greyhound from us? As we enter our third decade, we'd like to hear from you about your past and present greyhounds. If you've got just a few minutes, we'd love for you to fill out our census form. 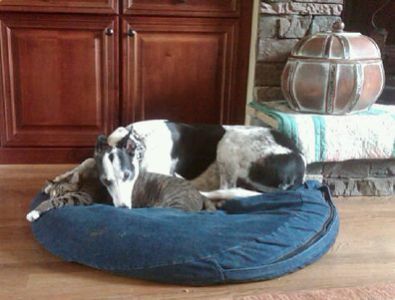 TWO LOST GREYHOUNDS IN SOUTH CAROLINA!!! 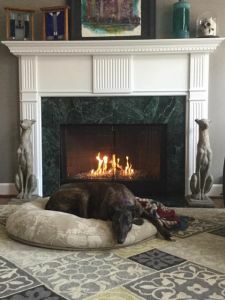 LOST 1/2/19 Hephzibah, GA 6 year old black female Greyhound, responds to Connor or Connie. Sighting 1/11/19 at RR crossing at 2320 Plantation Rd, Hephzibah GA. Also sighted 1/11/19 between Megan Lane and Railroad tracks on Plantation Rd. Call with sightings 706-631-6978 or 706-631-6979. VERY SHY DO NOT ATTEMPT TO CATCH OR CHASE!!! Facebook page set up for the search- Help Get Connor Home. 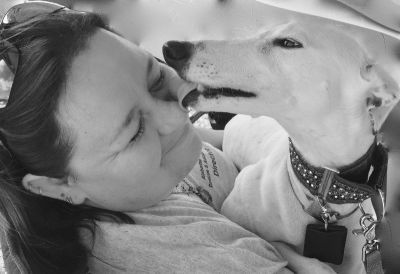 Greyhound Crossroads is a 501C3 Charitable Organization that is Registered with the IRS and in the states of South Carolina, North Carolina and Georgia. Financial Information about this Organization and a copy of its license are available form the North Carolina State Solicitation Licensing Branch at 919-814-5400. The license is not an endorsement by the State.